CORVALLIS – Margie Conklin passed away with her family by her side at the Marcus Daly Hospice Center on January 27, 2019 at 2:10 p.m. She was born Marjorie Stevens in Goldstone, MT on February 13, 1920 to Dan and Mary Stevens, the fourth of eight children. Her father, Dan, and her mother, Mary, farmed wheat and ran Hereford cattle on the highline for several decades. Her family founded the town of Goldstone in the early 1900’s. Their life was hard, but they had fun. One of her favorite stories was when her and her sisters pinned a steer’s tail on their dad’s coveralls while he was napping and right before a cattle buyer came to buy his calves. He didn’t know that it was pinned on him until after the cattle buyer left. That was the only time that they remembered their dad mad at them. 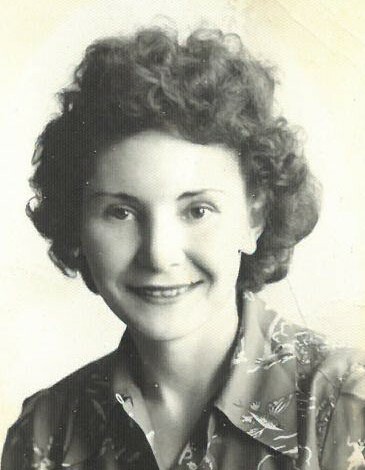 Margie moved to Dillon to become a beautician in 1940 and married her forever husband, Terry Conklin. They were married for 42 years, living in Fort Ord, CA and Havre, MT while Terry served two tours of duty in combat during WWII. Out of that marriage came three children, Danny, Ronnie and Carla. After the war, Margie, Terry and Danny moved to Anaconda where her husband worked on the smelter for 40 years during which time she was very active in St. Mark’s Episcopal Church, teaching Sunday school for years. In 1977, Margie and Terry moved with their son, Ronnie, and grandson, Ron Jr. to Corvallis where she and Terry retired until 1982 when Terry passed away. After that time she worked in her son, Ronnie’s real estate office for 20 years until advanced age made it to difficult to do any more but she continued her flower gardens and plants until her passing. Margie was preceded in death by all her siblings; her husband, Terry; and her son, Danny. She is survived by her son, Ronnie (Diane) of Darby; her daughter, Carla (Jim) Hapip of Las Vegas; grandsons, Ron Jr. of Corvallis and Brady Smith of Darby; granddaughter, Tonya Smith of Condon; and great-grandchildren, Andrew Smith of Hamilton, Avery Smith of Condon and Gabe Smith of Darby. Margie was a completely unselfish and loving mother, wife, grandmother and friend. She will be truly missed forever. There will be a service for her in Anaconda at St. Mark’s Episcopal Church in late May. The date and time will be announced. Condolences may be left for the family at www.dalyleachchapel.com.